Published on Friday, the 36-second video titled “How to take an ECG” quickly explains how to start the electrocardiogram process, started off by opening the ECG app itself. As the video explains, users have to hold their finger on the digital crown on the side of the device until the 30-second timer expires. After the test has completed, users can scroll through the results to see more information, including next steps a user can take. This includes an “Add Symptoms” button if the user feels unwell and believes it is worth adding alongside the ECG’s results for future reference by medical professionals. Apple introduced Raise to Speak as part of a raft of updates in watchOS 5 last year. The gesture, where the user raises their wrist up and prepares to speak to the Apple Watch, is automatically treated as an intention to issue a command to Siri, all without saying the “Hey Siri” prompt beforehand. The gesture is useful for more than dismissing the need for a verbal prompt, as it is a way of interacting with the Apple Watch without needing to use both hands. Most actions still require the use of the free hand, such as by touching the screen or turning the digital crown, and while voice commands are also useful, it may not be a desirable time to use them while the user’s hands are occupied with other tasks. A patent application from Apple published by the U.S. Patent and Trademark Office on Thursday for “interacting with an electronic device through physical movement” describes how an Apple Watch could be controlled in a more elaborate manner than currently offered, just by tilting the wrist. In another way, a single-path lane with two corners can provide two different responses, such as muting a call and hanging up while in a call, with the duration appearing in the middle of the U-shaped path. The indicator can be kept between the two corners while the call is made, but can be tilted and made to reach one of the path’s ends if the user requires one of the two actions to be performed. 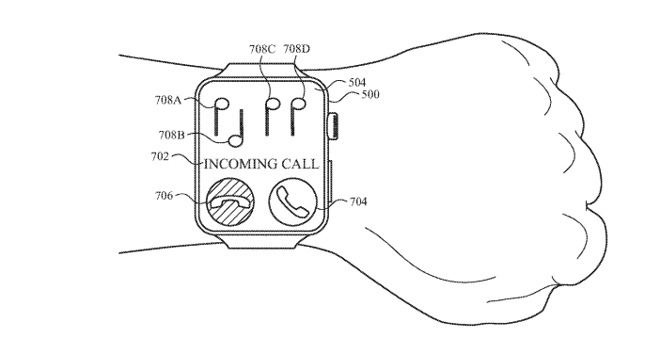 When a call is received, the Apple Watch could play a special ringtone consisting of high and low notes in a specific short sequence, potentially for a specific user. To answer the call, the user could perform a series of rotating “flick” movements that matches the ringtone’s notes, rolling away from their face for a high note, and towards for a low note. While Apple does produce a large number of patent filings and applications on a weekly basis, their existence isn’t a guarantee that the concepts described will make their way into future products or services. They do however serve as an indication of areas where Apple has shown interest. The application is the latest in a number of other filings where Apple has examined alternative ways for users to interact with devices. For the HomePod, it suggested the creation of a depth map for a room to detect a user’s hands, in order to perform gestures from anywhere in the room. Gestures have also been considered as a way to control a self-driving vehicle, with actions performed within a designated “interaction zone” able to order a vehicle to do one of a selection of maneuvers. More recently, Apple has looked into force-sensing gloves, which could allow gestures to be performed without a touch-sensitive surface or cameras monitoring the hand itself. Looking back at Apple’s November 2018, it looked like investors just weren’t getting as into the Christmas spirit as Apple is with its new holiday ads. And maybe Apple is looking for cheer in all the wrong places as Microsoft supplants it as the most valuable company in the world. Sometimes there’s just nothing a trillion-dollar company can do. By November, Apple had released three new phones, two new iPads, a desktop Mac, a laptop, a pencil and some keyboard cover thing, but still its stock price dropped. The value of Apple stock dropped enough that in fact it was no longer a trillion-dollar company. It’ll be back and if Tim Cook were here now, he’d be saying that it’s never about the money anyway, so there. Still, it had to hurt when during November 2018, Apple lost the mantle of World’s Most Valuable Company —to Microsoft. You knew about the trillion-dollar part but you’d be forgiven for having forgotten that Apple was the most valuable public company in the world because it’s actually been that for so long. Apple was top from August 2011 to November 2018. It will be again and Microsoft will be again and all of these firms will dance around but on the one hand, Apple must be smarting. And on the other, this is November. There were releases from Apple but the firm had just been through two months of announcing products, now it had to get them into peoples’ hands. While many of us watched our delivery tracking information, Apple may have spent some time building a new shelf for all the awards it got. The company as a whole won the Eleanor Roosevelt Humanitarian Award for its work toward device accessibility. This is far from a new effort or direction for Apple and it’s also far from the first such award it’s received. In accepting the award, Apple’s Senior Director of Global Accessibility Policy and Initiatives Sarah Herrlinger said that accessibility had been central to the company “from the very beginning”. Also this month, Apple as a whole earned the Thomson Reuters Foundation’s Stop Slavery Award and announced a new initiative to help victims of human trafficking to get jobs in the company. Then the Steve Jobs Theater at Apple Park won the Structural Artistry award from the UK’s Institute of Structural Engineers. You’ve not heard of them and you’re wondering just how many things in the world are covered by awards ceremonies but then you see an image of Apple Park. And you’re thinking yes, that’s structural artistry. Even if people walk into its walls. It’s a small price to pay for art. The Steve Jobs Theater is “the largest structure in the world solely supported by glass”, said the UK organization, and it presented the award to architectural firm Eckersley O’Callaghan & Arup. It won’t be the last award Apple Park gets. Also in November, Tim Cook was announced as being the first to win the Anti-Defamation League’s Courage Against Hate award. Cook would collect the award in December, when he would also deliver a keynote speech. Tim Cook was continuing this new role of speaking out about social and political issues but he was continuing to do so with keynote speeches. He’s good at those. Cook is similarly good when he has to speak on Apple’s quarterly financial call, the legally-required announcement of earnings. They’re little more than an audiobook version of the earnings statements Apple has to release. Although they also then include optimistic questions from analysts thinking Apple might reveal future plans, and patient answers from Tim Cook saying that it won’t. The earnings call in November did come at an interesting time, though, because this month Apple set records. “We’re thrilled to report another record-breaking quarter that caps a tremendous fiscal 2018, the year in which we shipped our 2 billionth iOS device, celebrated the 10th anniversary of the App Store and achieved the strongest revenue and earnings in Apple’s history,” said Tim Cook on the call. So Apple is making money hand over fist and it’s releasing acclaimed products. Apple’s stock price immediately took a beating because you don’t want successful new products and high earnings. Or rather, investment analysts look at this and think no, it can’t continue. “Calendar fourth-quarter guidance reflects our cautious view on weaker-than-expected sell-through and production reductions for the iPhone XS and iPhone XR,” wrote Rosenblatt Securities analyst Jun Zhang. In other words, nobody’s buying the new iPhones. Allegedly. There were plenty of rumors that demand for the iPhone XR, in particular, had been poor. Yet a lot of noise was being made over the fact that Apple had announced in this earnings call that it would no longer report specific iPhone sales figures. In future such calls, it would say how much money it made but not how many phones it sold. This was greeted by furore by just about everyone and the conclusion was that Apple was hiding something. Sales must be going down and it’s only that the price of iPhones is going up that is saving Apple from being doomed. Hang on, said AppleInsider, no other firm has ever reported its specific sales figures and nobody’s complaining about them. While some wrung their hands about Apple’s accounting practices and others saw how the move fitted into the company’s history, there were bigger disputes about the future. It just didn’t always seem that way, or at least it didn’t appear to be that way for Apple. Now, for Qualcomm, it was bad news. Amongst other things, Qualcomm makes modems for phones and Apple used their technology for many years. 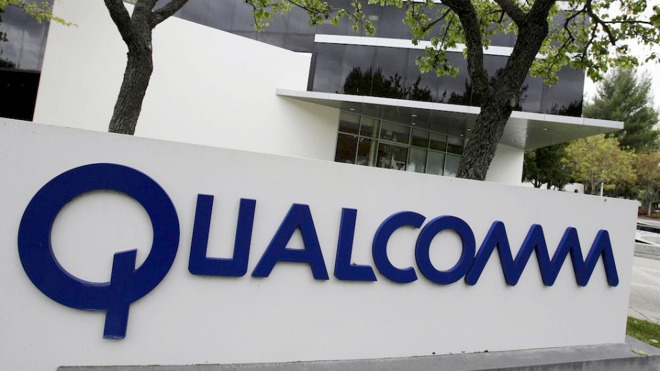 This month, US District Judge Lucy Koh issued a preliminary ruling against Qualcomm in a Federal Trade Commission’s antitrust lawsuit. The bottom line was that the court says Qualcomm must license its modem technology to rivals such as Intel. Just getting to this point, though, Qualcomm had been in a global legal war over patents and royalties and in part with Apple. By November, Apple was rolling up its sleeves, preparing to go to trial, and definitely not talking privately with Qualcomm at all. 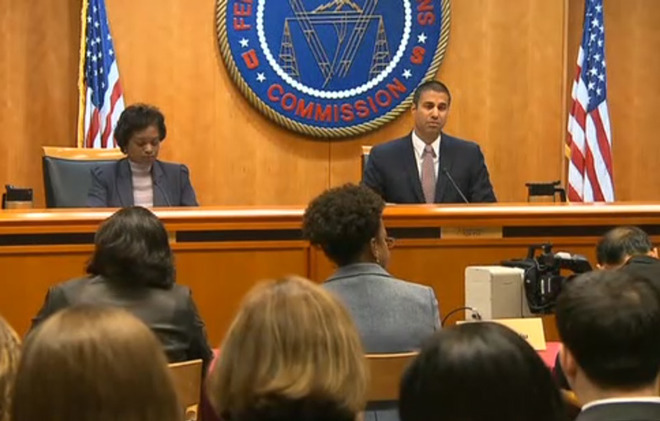 There’s an irony in the head of a company that makes communication equipment not knowing he isn’t communicating. Yet if you spot that this was really just an olive branch of a quote, you should know that it came too late. 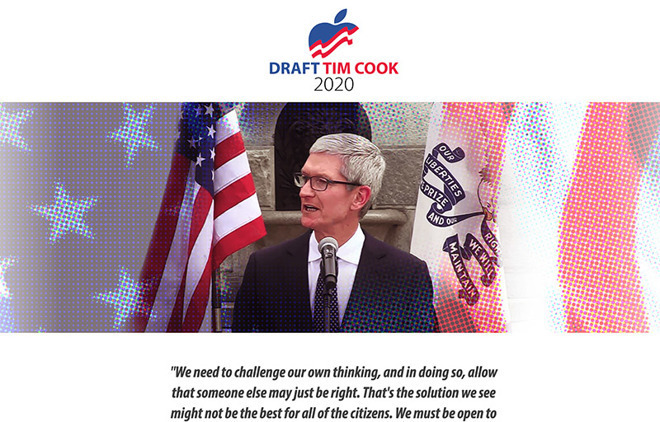 Tim Cook for President? Not so much. For even before that CNBC interview aired, the New York Times had revealed that Qualcomm’s PR company had been targeting attack campaigns aimed at Apple. Definers Public Affairs, the same firm that Facebook used to sling mud at critics after the Cambridge Analytica debacle, worked to affect perception of Apple. Much of the work revolved around conservative-leaning news aggregator NTK Network and whether it was used to disseminate stories critical of Apple. According to NTK‘s editor in chief, Joe Pounder, this is nonsense. “What NTK writes and posts on is what NTK chooses to write and post on,” he said. Perhaps we’re foolish to automatically assume this means editorial independence as he could just have meant that NTK chooses to publish whatever Definers PR tells it. Whether they were planted stories or completely independent editorial, NTK reportedly ran at least 57 articles about Apple. The New York Times also cited emails that demonstrated “dozens” of articles were planted on conservative news sites. We can report that Definers emailed us, too. Back in June 2017, AppleInsider was contacted by Miller who pitched an article suggesting there was coordination between Apple, Intel, Samsung —those famously friendly firms —and the US Federal Trade Commission. Just about the only thing Miller’s email to us failed to mention was the small fact that Definers was working for Qualcomm. We passed. There was one more piece of work by Definers that we’ve got to mention. Here’s a company that was working to discredit Apple and Tim Cook but it was allegedly behind a Tim Cook for President campaign. Whether you think Cook would be good in the White House or not is one thing —and it isn’t what is believed to have mattered to Definers PR or Qualcomm. It’s the current occupant of the building who matters and at this point, Tim Cook and Donald Trump’s relationship was up and down. Early in November, Apple had been one of more than 50 major US companies who drafted and signed a letter opposing the Trump administration’s plans to define gender. 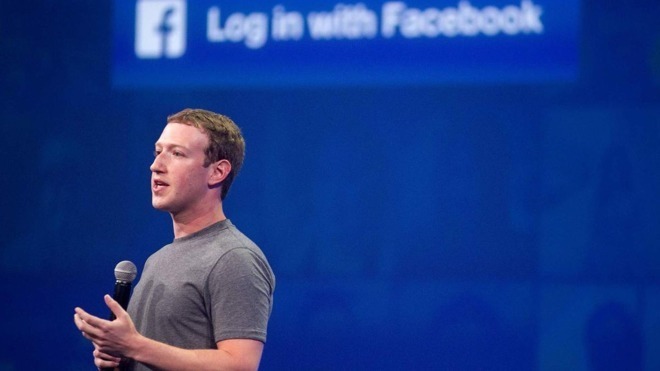 Alongside Apple, the letter’s signatories include Google and Microsoft. Both of them were then invited to a technology roundtable event to be held in December at the White House but Tim Cook wasn’t. Oh, and Qualcomm’s Steve Mollenkopf was. November saw the midterms in America and technology firms were among many working to get more people voting. All the major car-riding companies like Uber and Lyft offered free or discounted rides to voting stations —though specifically to, never back from there —and updated their apps to help with finding those stations. 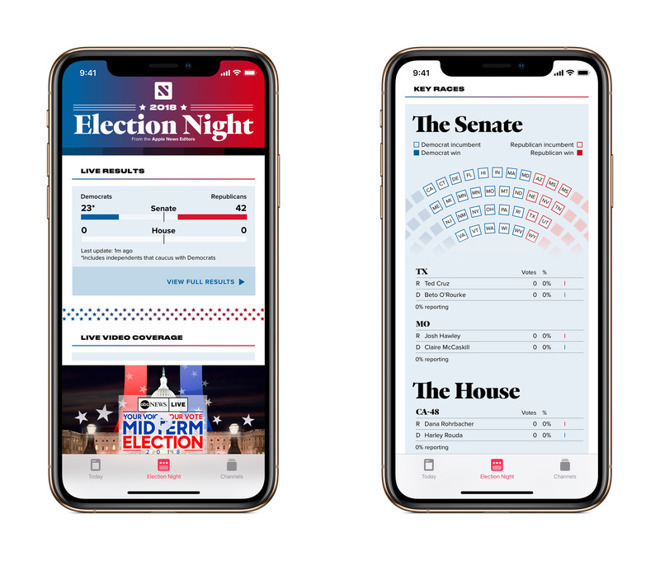 On the day itself, Apple News revamped to bring midterms coverage front and centre on the app. In a link up with the Associated Press, Apple News provided real-time information on the balance of the Senate and the House. As you know, the result was that Democrats gained control of the House of Representatives but it also saw Apple’s home state of California getting a new governor. AppleInsider looked at the effects both of these are likely to have on Apple. There was then the case of the Black Friday shopper who either misread the terms and conditions or just didn’t notice them and so filed a class action lawsuit against Apple for not doing what it didn’t say it would. We’re not entirely sure how much it costs to sue Apple and, one imagines, face a judge telling you to read the small print. However, it’s likely to be more than the $200 gift card this shopper believes she is due. We’re also not completely on board with the idea of spending a lot of money to buy an iPad Pro and then deliberately bend it to the point of breaking. 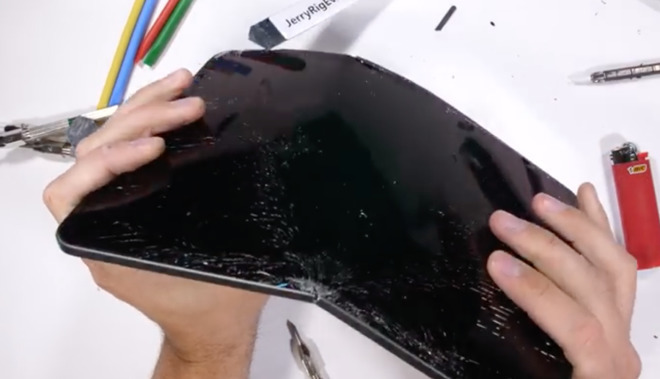 In hindsight, YouTuber JerryRigEverything could’ve just waited for Apple to bend some iPads but in November, he torture-tested one poor device himself for giggles. AppleInsider also tested the new iPad Pro models in November, though our methodology was more about using them rather than holding up a lighter to see how long it takes a flame to burn through. We also tested and reviewed and tried everything Apple released in its September and October events. The results were uniformly good but not uniformly great. We were also highly critical of how Apple moved the Smart Connector on the new iPad Pros. That seemingly simple change belies a remarkably short-sighted approach that is going to mean the connector may never become as useful as Apple expected. That said, we also found that the iPhone XR is far more than just the entry-level phone. There were new releases from Apple in November and they did include hardware of a sort —the Apple Watch gained two new Hermes bands. And also somewhat more importantly there was new software too as watchOS 5.1.1 came out to fix issues with Apple Watches being bricked. Otherwise Apple released plans for a new Entrepreneur Camp for women with app-driven businesses and it launched new adverts including a sweetly animated one for the holidays. It felt early to be looking to the end of the year but maybe Apple is just longing to put its feet up for a bit. Depending on when in the month you asked, and who you talked to, sales of Apple’s flagship iPhone X were appalling or fantastic. Meanwhile, the Apple Watch was saving lives and Amazon’s Alexa was getting even creepier. AppleInsider takes a look at Apple’s May 2018 in review. In a word, May 2018 was about money. Chiefly it concerned Apple revealing just how much cash it had made but it did also begin with the company having to pay out quite a bit too. Specifically and possibly grudgingly, Apple made a first payment of its disputed Irish tax bill. The company is said to owe $15.3 billion and in May Ireland’s finance minister Paschal Donohoe announced that the first $1.76 billion had been paid into an escrow account. The reason this is all disputed is not that anyone much disagrees that Apple should be paying more tax than it does. It’s that Apple didn’t dodge anything: it always paid exactly what it was billed by Ireland. Even the Irish government is saying well, yes, we could’ve got more but this was what we billed them for. It’s the European Commission who says Apple owes back taxes and they’re serious: they threatened legal action against the Irish government for its alleged failure to collect. So everything is fine between Apple and Ireland, really. Oh, except that in May, Apple cancelled plans to build a $1 billion data center there, that’s all. It’s not as petty as that sounds. The company said that it was cancelling it because of years of legal challenges. Late in April, the Irish High Court had passed a ruling that would allow objectors to begin an appeal process again. That one is open and running. Apple has since announced that it’s going to build a second one in the country, this time at Aabenraa, which is in southern Denmark. It’s estimated that it costs around a billion dollars to build these datacenter wherever they are so Apple does need your help. Fortunately, we’ve not been slowing in chipping in a few bucks here or there. Just for once, we’d like Cook to end that kind of sentence with the words “so there”. For even more than ever, this year had seen analysts and critics resolutely proving that the iPhone was a failure. It’s not as if we think news reports about Apple should all be shiny happy, we do think that doom-laden headlines conjured up out of sloppy journalism are offensive. It doesn’t take much to get this right. There are real diamonds embedded in that case, you just can’t see them. Hadoro replaces the casing with anything from leather to marble and even something with real diamonds in it. You can forget your Apple warranty, the phones cease to be waterproof, and in our opinion they look ugly as hell, but it’s your money. To think we’d been saying HomePods were expensive at $349. Speaking of which, Apple’s earnings call did say how much money the company had taken in but it didn’t and never does break out the details for items like the HomePod or the Apple Watch. That doesn’t stop people guessing. Sorry, we mean estimating and calculating based on reliable sources in the supply and retail chain. This month Strategy Analytics guessed that Apple had sold around 600,000 HomePods. Compare that to Google’s 2.4 million Home devices and Amazon’s 4 million Echo speakers. Mind you, the Dot version of the Echo sells for $50 or seven times cheaper than the HomePod. And Apple’s device is the only one that wasn’t available for the whole quarter. Maybe we’ll just give up on sales figures and concentrate on how great the HomePod sounds. At least that’s something everyone agrees on, except for Consumer Reports who insist it’s good but others are better. This May, AppleInsider went to see how their controversial testing is actually done. 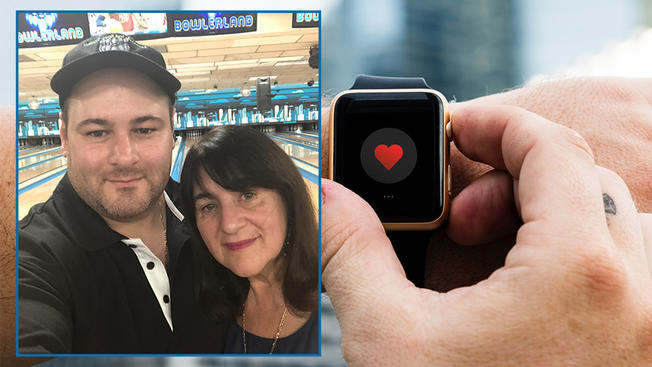 While we were busy concentrating on that testing, other people were out at church, working at bowling alleys, taking their parents to hospital —and having their lives saved by their Apple Watch. No kidding. Recktenwald’s 18-year-old daughter had got a notification from her Apple Watch telling her to seek medical attention because her resting heart rate had reached 190 beats per minute. She lives in Tampa, Florida, but a similar thing happened with William Monzidelis in New York. Again it was a heart rate warning but in his case he had an erupted ulcer. Doctors told him that if he had ignored the dizziness he was feeling, he would’ve died. Then in England, Kevin Pearson was in hospital accompanying his father when his Watch warned that his heart was beating 161 times per minute. He followed the Watch’s instructions and sat down, monitoring his heart rate until it steadied. He was at a hospital, after all, so he got doctors to check him out and they discovered that he had atrial fibrillation. Pearson says he’s now set his Watch to alert him whenever his heart rate spikes over 120 beats per minute. There’s no word about how his father is. You can’t be anything but amazed that a watch can save lives. It is truly a remarkable thing that Apple has done with this device. Yet if it’s impossible to dislike the results, plenty of people are not keen on the company who’s doing it. This May if you happened to be someone who didn’t like Apple devices or you were finally worn out from how much they all cost, you could of course turn to Android. What’s more, if you did that, you could finally get a phone that doesn’t have the notch at the top of the screen that the iPhone X did. You know that the notch is there because it’s needed, because behind it is all the Face ID sensing equipment. By May, many Android phones were including a notch solely to look good. Except LG, which doesn’t just follow fashion and doesn’t make technologically-based decisions. And which seemingly hasn’t heard the old engineering maxim of ‘form follows function’. For LG put a notch on its new phone, the LG G7 ThinQ, and revealed in May that it was after a survey. The company didn’t break down the rest of the results for us, though, saying only that 60 percent liked or didn’t mind the notch. Whatever the breakdown, enough liked it that the new LG phone had one. Samsung also hesitated over fully going for the notch, too, but not in its phones, just in its advertising. May saw an ad that belabored a comparison between the iPhone 6 from 2014 and the Samsung Galaxy S9 from 2018. You’ll never guess which phone was faster. You missed it, but at the start there was a pixel-high disclaimer on the screen saying that “newer iPhone models are currently available”. That beta program meant that Android P was initially only installed on what AppleInsider called “a small sliver of devices”. Later it would be released publicly to all Android users and consequently end up on a slightly larger sliver. Android is famous for how even new phones can’t always be updated to the latest versions and slightly older phones never can. Still, we wouldn’t say that in front of Android users because we’re polite. And because you never know who’s listening. 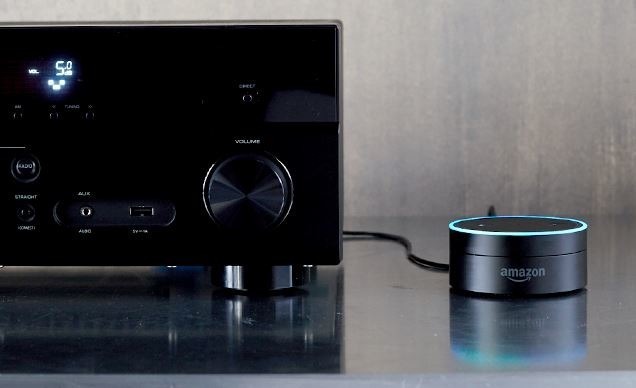 In May, Amazon confirmed a report that an Echo device had recorded audio from a conversation and sent it to someone else. Speaking to AppleInsider, the company explained that it was down to an extremely unusual sequence of mishearing. Alexa believed it had been told to send a message and then after it had said “To whom?” believed it was told a name in the customer’s contacts list. Maybe you’d have guessed that something like this must happen sooner or later with a device that works by listening to your conversations. We’d have bet money, though, that you wouldn’t have guessed we’d lose net neutrality. That wouldn’t go away until June but in May we were still hanging on to the hope that a last-minute Senate vote might help. With the prospect of losing net neutrality and all it could mean for us and even Apple, we weren’t leaving May in the best of moods. Amazon has kicked off its Cyber Monday Deals Week with discounts on iPads and Apple Watches, as well as HDTVs and Echo hardware. We’re rounding up the lowest prices on great gift ideas that you can buy right now. 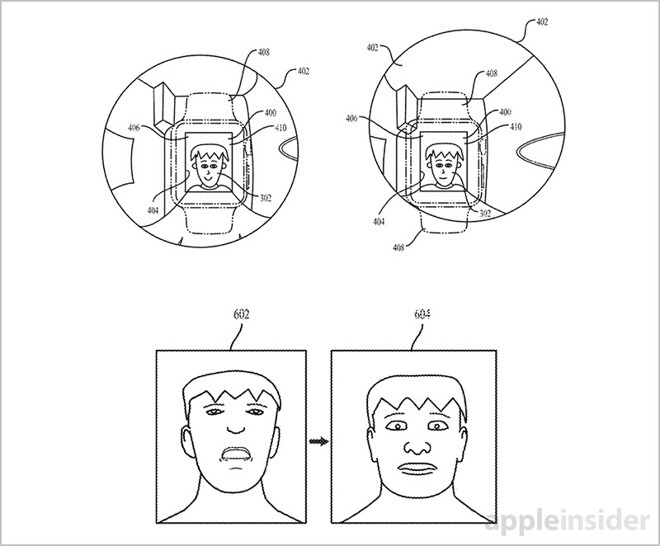 According to a patent granted to Apple by the U.S. Patent and Trademark Office on Tuesday, the tech giant is looking to broaden the feature set of its wearable by incorporating a novel camera system capable of automatically cropping in on subject matter, tracking objects like a user’s face and generating angle-adjusted avatars for FaceTime calls. Apple’s U.S. Patent No. 10,129,503 for an “Image-capturing watch” details a hardware and software solution that makes a camera-toting Apple Watch not only feasible, but useful. As noted in the property’s language, such designs would allow users to be less reliant on their iPhones, perhaps ditching the handset altogether in certain situations. With a camera-enabled Watch, users would be able to leave bulky handheld equipment behind when playing sports, working out or performing other strenuous activities. A workable smartwatch camera solution is difficult to execute. Simply graphing a traditional handheld image capture system, like an iPhone camera, onto Apple Watch would be a user experience nightmare. Owners would be hard pressed to aim the camera at a subject without moving the entire platform — their wrist — to check framing, while at the same time dealing with a host of other concerns, from video stability to ergonomics. To address the litany of anticipated issues, Apple proposes a system in which a wide-angle lens is fitted to a sensor built into a watch band. Alternatively, multiple cameras might simultaneously capture image data that is seamlessly stitched together to create one continuous image with a field of view that is much wider than any single-lens camera can provide. The resulting wide-angle image reduces the need for precise aiming. Instead of framing subject matter beforehand, the final photo or video can be cropped after the fact to home in on a target or point of interest. This process can be conducted algorithmically or manually by the user. Apple notes the technique not only works well for initial image acquisition — users need only point the lens in a target’s general direction — but also adds a new level of convenience not usually available to portable camera users. Crop-after-capture can assist in recording spur of the moment events, for example. Illustration of teleconference call technique. Beyond basic photography, the patent delves into teleconferencing. Here, too, Apple provides thoughtful context to the proposed technology. In some embodiments, the watch processes a captured image and applies facial recognition software to recognize a user’s face. The device dynamically outputs a cropped image centered around the identified visage, making continuous on-the-fly adjustments to keep the face in frame even if the watch is in motion. Perhaps most interesting is a contingency for rectifying unflattering “up nose” angles. If a user were to employ Watch in a FaceTime call, and do so without holding the device directly in front of their face as promised by Apple’s auto-cropping tech, the resulting image would at times be captured from a low vantage point. To negate “up nose” shots, Apple proposes outputting a representation of a user’s face that appears to be taken from a straight-on perspective. As noted in the patent, Watch’s onboard processor might generate an angle-corrected image or representation of a user’s face by compiling stored facial data, perhaps information gathered during biometric registration. Motion data captured by the camera and processed by the watch is then mapped onto the computer generated representation, which mimics a user’s facial expressions and movements in real time. Alternatively, source motion data can be used to inform the movements of a non-human avatar like Apple’s Animoji and Memoji. Illustration of automated cropping (top) and “up nose” angle correction. 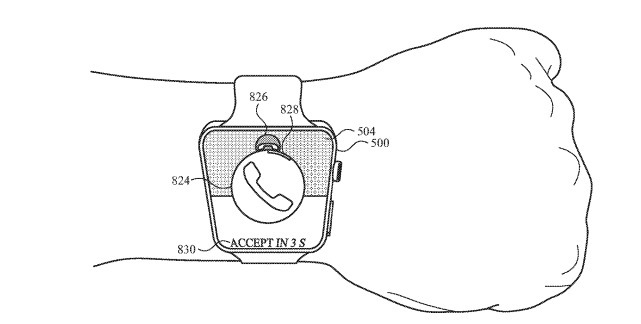 Whether Apple intends to bring its Apple Watch camera band technology remains unknown. The company was in 2015 rumored to integrate a FaceTime camera into a future Apple Watch model, though the rumblings failed to bear fruit. Apple’s camera watch band patent was first filed for in September 2016 and credits Seung Wook Kim and Megan A. McClain as its inventors. The Apple Heart Study, conducted in partnership with Stanford Medicine, collected heart rate data from more than 400,000 Apple Watch users in its attempt to determine whether wearable devices can effectively detect irregular heart rhythms. Contrary to previous reports, however, the results were not used to gain clearance from the U.S. Food and Drug Administration for Apple Watch Series 4’s ECG feature. Following the closure to enrollment, Apple quietly submitted a de novo request for FDA clearance to two Apple Watch apps that would feature prominently in Apple Watch Series 4. The first app handles interpretation of and display of electrocardiogram readings from the wearable’s new ECG system, while a second uses optical sensors to identify irregular heart rhythms. The FDA issued regulatory Class II clearances — over-the-counter access — for both. Though it did not factor into regulatory approval of Apple’s ECG solution as previously thought, the Heart Study can be considered an important first step toward providing consumers with easily accessible medical hardware. 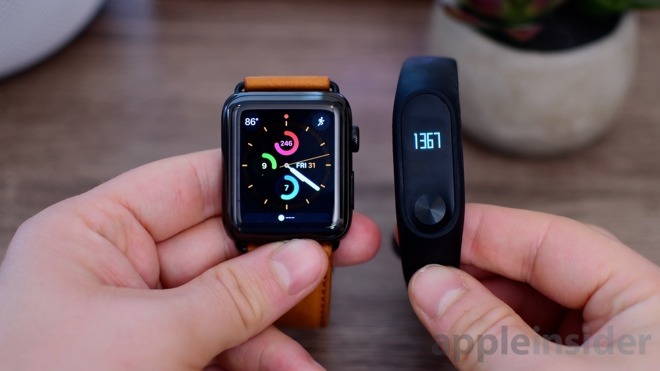 The two FDA clearances that Apple announced Wednesday for the Apple Watch Series 4’s ECG capabilities came from data collected via the Apple Heart Study, according to a report Thursday. Apple announced Wednesday at its “Gather Round” event that the new Apple Watch Series 4 comes with the ability to take an electrocardiogram — the first Apple product to receive clearance from the FDA. Apple COO Jeff Williams said on stage that the company received the clearances for its ECG and atrial fibrillation testing on the Apple Watch via a “de novo” pathway, which means it supplied data to the agency to prove the product both worked and is safe. The Watch’s abilities don’t actually mean much, according to one doctor. Andrew Moore, an emergency department physician at the Oregon Health and Science University, told Quartz Thursday that the Series 4 doesn’t rise to the level of a medical device. It says right there on the Apple Watch, that if the Watch detects atrial fibrillation (AFib), “you should talk to your doctor.” At the same time, Apple’s Williams admitted that the Series 4 won’t always catch AFib every time. After three years of daily use, I’ve decided to give up my Apple Watch for a week to prove to myself how useful and important it really is —or maybe, it isn’t. I’ve been using Apple’s wearable since it debuted and for the most part, I’ve been a vocal fan. Soon, Apple is expected to debut their latest ‘Series 4’ Apple Watch. Before I jump in head-first and upgrade yet again, I wanted to test myself and see if I truly did need my Apple Watch. Is this something I can’t live without, or have I just fallen for my own hype? I have a bad history of not paying attention to my phone, and my Apple Watch notifications help make sure I don’t miss anything. So, that’s high on the list. The Apple Watch has truly helped me stay active. Whether it is making sure I’m not lounging too long on the couch or making sure I head to the gym on a regular interval. Each day I make an honest effort to fill my rings. Possibly most importantly, I’m a Type 1 diabetic and use my Dexcom CGM to view my glucose levels on my Apple Watch. It is useful to see on my watch, but luckily I can still view it directly on my phone. I considered a lot of options for my possible Apple Watch replacement, and I came to the conclusion that I couldn’t ditch a wearable completely. I still needed something — however minimal — to help with at least a couple of my frequent tasks. That’s why when I shed my Apple Watch, I went with a super cheap fitness tracker that I had reviewed in the past — the Mi Band 2. It has a surprisingly large number of features and I was able to pick it up for less than $30 bucks. Heading into the week, I was getting along just fine with the Mi Band 2. I got notifications for social media, texts, and phone calls. Idle alerts made sure I never sat around too long. It was also easily capable of tracking steps, calories, distance, and workouts throughout the day. It also didn’t need charged the entire week, though I plugged it in once just to top it off. My iPhone and HomePod served as suitable replacements for many frequent tasks. Granted, it was ever so slightly less convenient, but I was starting to gain confidence in my ability to forgo Apple’s wearable. Leaving to take the dogs for a run/walk was also a bummer. I love heading out, locking the door with my Apple Watch, turning on my Apple Music playlist with my AirPods, and starting a workout. Cellular connectivity means I also am able to get security alerts from HomeKit or my security cameras while I’m away. Mi Band wasn’t up for any of this. I went without music once and another time I tried to bring my iPhone but it was super uncomfortable to keep in my workout shorts while running. When I was without my phone, I had a bit of a sense of worry knowing I couldn’t be reached and that I couldn’t watch after my home. Workouts also provided much less information and Mi Band lacked any of the social aspects found in the Apple Watch. I’ve several friends using Apple Watch where we compete and challenge one another in our workouts and the Mi Band made me feel a bit left out, and less motivated. Apple Watch is a personal device. Everyone uses it differently. On the surface, it seemed I could easily replace the Apple Watch with a cheaper, more minimalistic device and get the same outcome. But Apple’s blend of features and excellent design make that a lot harder to pull off than I imagined. The Mi Band 2 was a great device. It was a fantastic fitness tracker that is significantly more cost effective than Apple Watch or even a Fitbit. I actually preferred the Mi Band 2 over any of the Fitbit models I’ve used in the past. Sleep tracking was also something that I’ve been very interested in and have yet to find an excellent option with the Apple Watch. I’ve used Pillow, Auto Track, SleepScore (and SleepScore Max) and others but it was nice that the Mi Band 2 had this automatically built in. Apple’s Health app syncs with Mi Band so I was able to somewhat keep track of my activity versus others, but it wasn’t quite the same. There is one area that I really loved when not having my Apple Watch. I had the opportunity once more to wear other watches. I’ve quite a few watches I’ve gotten over the years myself or as gifts and it was a struggle for me to keep my Apple Watch activity streak and to get the chance to sport one of my other timepieces. I always knew I was going back to my Apple Watch. I haven’t worn it nearly every day for the past three years for fun. I’m still glad I tried this experiment, though. It reinforced my love of my Apple Watch and helped me put everything into perspective. What I love is that I don’t have to force the Apple Watch into my life. It fits and offers me many things from peace of mind, to more workout notification, and lots of convenience. Apple Watch isn’t just a simple fitness tracker, but it unlocks your computer, controls your home, finds your phone, acts as a flashlight, and so much more. Right now, the Series 4 Apple Watch looks great. I’m very excited to try out the new complication-dense watch face that got leaked ahead of time because glanceable information is some of the most useful. I can’t say with certainty I will be upgrading to the Series 4, but I can say without a doubt I love my Apple Watch.